Wild Resources Limited is engaged in applied ecological research on products harvested from tropical and temperate forests and provides consultancy services based on the knowledge gained from research. The market for such services is international with the clients being a mix of international development agencies, university departments, NGOs, and national Forestry Departments. Wild Resources Limited believes that the sustainable harvesting of wild products requires the support of high quality applied research and technical services. We use an inclusive approach to include all stakeholders in the development of new support tools and services for wild product management around the world. 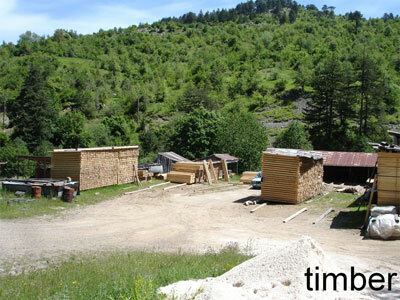 Forests provides many goods and services which are used or valued by people – here is a selection of products from the forests of the Valia Calda of the Pindos National Park in Greece. Wild Resources Limited has been involved in projects and research on all of these products and services.